Baseballs Triple Play and the unassisted Triple Play put outs actually being performed in the Major League level is the most unique and the rarest play in the game of baseball. Since the inception of our formalized recognized and acceptance of the two professional Major Leagues the National and American Leagues of baseball beginning in 1903 the recorded and the documented unassisted triple killing inning ending by one player is a rare few. My cap is tipped to Harry Hancock one of the Birmingham Barons ushers at Regions Park for his due diligence in supplying me where to find the data relative to the unassisted baseball triple plays of baseball history. 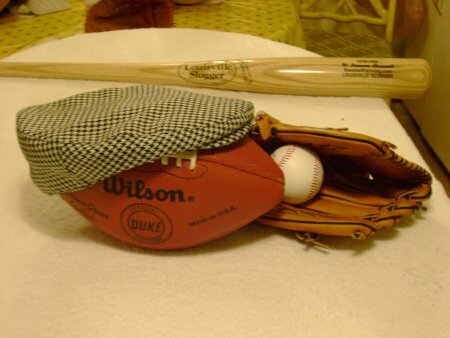 A real true baseball fan, working with the Birmingham Barons at Regions Park, Harry knew where and how to find the records for this baseballs triple play data and many other obscure and interesting baseball facts. Records for baseball revealed that the earliest documented recording of this unique one man endeavor the unassisted baseballs triple play was accomplished for the first time in 1909. On July 19, 1909 Neal Ball playing shortstop for the Cleveland Indians in the 2nd inning, caught a line drive, stepped on second base, and then tagged out the runner coming from 1st base. Neal Ball--July 19,1909, American League, Cleveland Indians, Playing shortstop in the 2nd inning caught a line drive stepped on second base then tagged the runner coming from 1st base. #Bill Wambsganss--October 10,1920, American League, Cleveland Indians, Playing second base in the 5th inning caught a line drive stepped on second base then tagged the runner coming from 1st base. 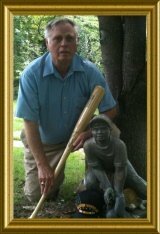 # The first and only ever unassisted baseballs triple play during a World Series. During the same game Elmer Smith a Cleveland Indians teammate slapped the first ever World Series grand slam homer. George Burns--September 14, 1923, American League, Boston Red Sox, Playing first base in the 2nd inning caught a line drive tagged man off 1st base and stepped on second base before runner could get back to 2nd. Ernie Padgett--October 6, 1923, National League, Boston Braves, Playing shortstop in the 4th inning caught a line drive stepped on second and tagged the runner coming from 1st base. Glenn Wright--May 07, 1925, National League, Pittsburgh Pirates, Playing shortstop in the 9th inning caught a line drive stepped on second and tagged the runner going back to 1st base. Jimmy Cooney--May 30, 1927, National League, Chicago Cubs, Playing shortstop in the 4th inning caught a line drive stepped on second and tagged the runner coming from 1st base. Johnny Neun--May 31, 1927, American League, Detroit Tigers, Playing first base in the 9th inning caught a line drive tagged the man off 1st base and stepped on second base before runner could get back to 2nd. Ron Hansen--July 30, 1968, American League, Washington Senators, Playing shortstop in the 1st inning caught a line drive stepped on second and tagged the runner coming from 1st base. Mickey Morandini--September 20, 1992, National League, Philadelphia Phillies, Playing second base in the 6th inning caught a line drive stepped on second and tagged the runner coming from 1st base. John Valentin--July 08, 1994, American League, Boston Red Sox, Playing shortstop in the 6th inning caught a line drive stepped on second and tagged the runner coming from 1st base. Rafael Fucal--August 10, 2003, National League, Atlanta Braves, Playing shortstop in the 5th inning caught a line drive stepped on second and tagged the runner going back to 1st base. Troy Tulowitzki--April 29, 2007, National League, Colorado Rockies, Playing shortstop in the 7th inning caught a line drive stepped on second and tagged the runner coming from 1st base. Asdrubal Cabrera--May 12, 2008, American League, Cleveland Indians, Playing second base in the 5th inning caught a line drive stepped on second and tagged the runner coming from 1st base. An executed Triple Play put out in baseball is rare but the Unassisted Triple Play remains as the rarest of all plays of baseball.